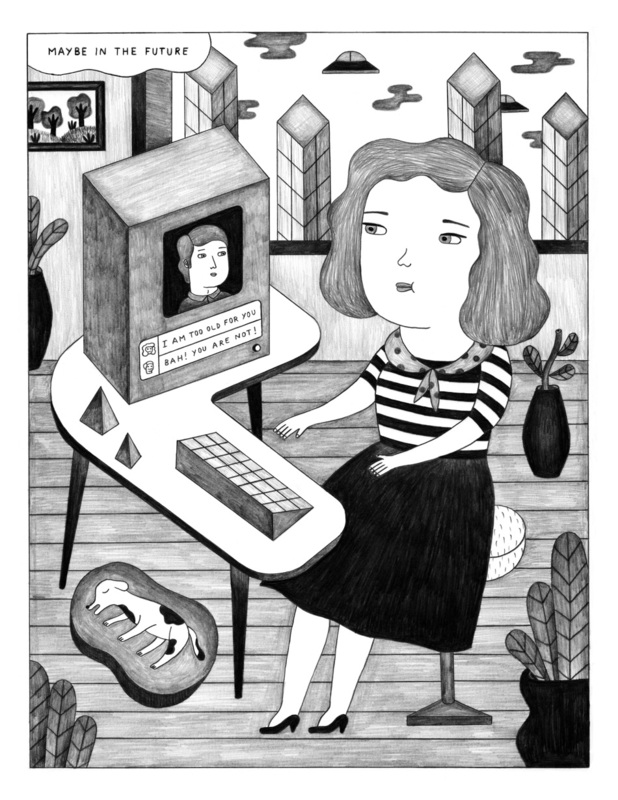 Our week-long exploration of new Spanish comix brings this four page story by Ana Albero. Ms. Albero has been active in several comix groups around Spain. Her style is quite a contrast with other Spanish artists. It has a clean, folksy softness that contrasts distinctly with the more anarchic work of other Spaniards like Andrés Magan or Carmen Segovia. Her new website is http://www.ana-albero.com. Enjoy.